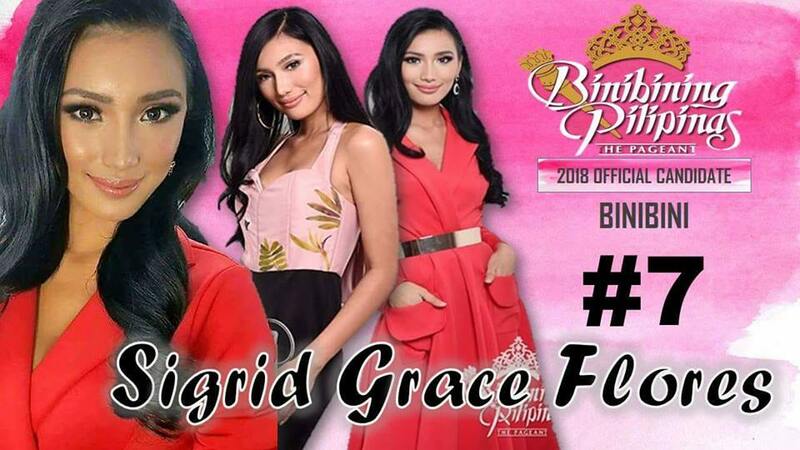 25-year-old Sigrid Grace Flores is our #Binibini7 for Bb. Pilipinas 2018 pageant! Sigrid is RL's Angels beauty camp's bet for this year's Bb. Pilipinas and was born in Cavite, a native of Catanduanes and Iloilo. This 5'7 1/2 stunner is not new in the glitz of beauty pageant as she was the 4th Runner-Up at last year's Miss Bicolandia pageant and became a candidate of the Miss Republic of the Philippines competition in 2015. A true achiever, Sigrid was the class valedictorian in elementary and in high school. She earned her degree in Mass Communication from Central Philippine University in Iloilo. Currently working as Motivational Speaker and event host, Sigrid was also, in fact, a co-founder of a non-profit organization Sons and Daughters in 2013.